The warm weather season is finally upon us, and for those of us who enjoy shopping local, that means one thing: it's finally Farmers' Market season! Whether you're new to the area or simply haven't experienced one of these before, this guide will not only help you find the Farmers' Market that's nearest to you, but will also give you some pointers to help you make the best out of the experience. What Exactly Are Farmers' Markets? Farmers' Markets are recurring indoor or outdoor markets where local farmers and specialty vendors come to sell their products, these often being fresh produce, meats, cheese, plants, flowers, and crafts. 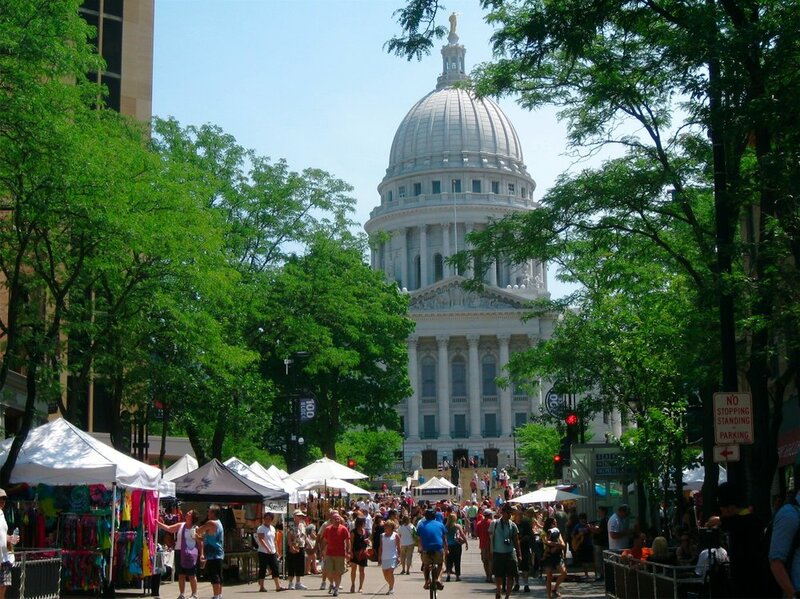 These events are a huge part of the Madison community and have become popular family destinations. Depending on the size of the event, you may also find music, food carts, art, and other activities going on during these. Looking to hit some markets this week? Good news! Whether weekends or weekdays work better for you, there is a market going on almost every day of the week somewhere in the area. Where: Central Park, 202 S. Ingersoll St.
Where: Labor Temple, 1602 S. Park St.
Where: 200 block of Martin Luther King Jr. Blvd. Where: United Church of Christ, 1501 Gilbert Rd. Where: The Villager Mall on Park St.
1| Get there early to get the best produce, as the popular items will sell out fast. 2| Increase your chance to get discounts by arriving near closing time. The farmers will want to get rid of as much produce as possible, so they may offer deep discounts. 3| Don't make assumptions. Just because it's a Farmers' Market doesn't mean that everything is certified organic or that the vendors are the actual farmers. If these are things that are important to you, ask. You can also check the market's rules on their site to learn more about what to expect. 4| Bring your bags, baskets, and even a cooler. Many vendors won't have plastic bags available. Bring a canvas bag or a basket to make it easier to carry your purchases. And of course, you can expect a Wisconsin Farmers' Market to offer a variety of cheeses and dairy products. A cooler will give you peace of mind knowing that your precious purchases will remain unspoiled while you continue to explore the booths. 5| Ditch the plastic. Bring cash and smaller bills to make things easier. Most big markets will have vendors that accept credit cards, but cash will always be a sure thing. 6| Keep an eye on the crop calendar to know what's in season when. This will help you determine what to expect at the market and you'll know when is the best time to buy the freshest fruits and vegetables at the best prices. 7| Buy ugly fruits and vegetables to save some money and help reduce food waste. These items are perfectly good to eat, but they might lack the perfect tint of red on an apple or may not be a perfectly round orange, making them less desirable for no good reason. If you live on the outskirts of Madison, check out your local chamber of commerce website for information on local markets in your town. Now you're ready to start experiencing this fun summer activity and supporting your local farmers!